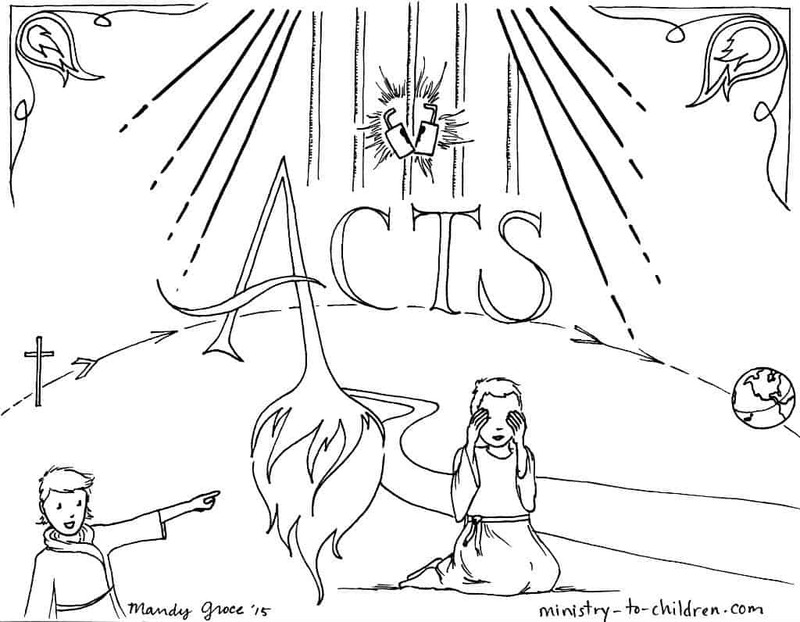 This free coloring page is based on the Book of Acts. It’s one part of our series of illustrations for each individual book of the Bible. The illustration shows scenes from the early church including Pentecost, Paul’s Conversions, and the jailbreak of Peter. You might also enjoy our series of 34 Sunday School lesson from the book of Acts. We also have a much shorter one lesson Bible study on Acts and this review worksheet about Acts. Don’t miss all our printable Bible coloring pages for kids.